It's hard to believe that it's almost Super Bowl time! Now, I don't really care much (anything) about football, but I do care about good food and good friends! 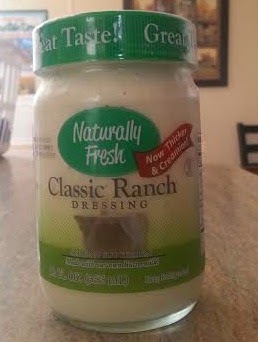 So, when we got the chance to try out some Naturally Fresh salad dressings for Super Bowl recipes, I was so excited! Naturally Fresh is a line of high-quality, homemade-tasting salad dressings and dips with no artificial flavors, colors or preservatives and they are delicious! Available in four varieties, Classic Ranch, Lite Ranch, Blue Cheese and Lite Bleu Cheese, Naturally Fresh Salad Dressings and Dips can be found at your local Kroger or Publix, check out the Naturally Fresh Mobile App to find a store near you. 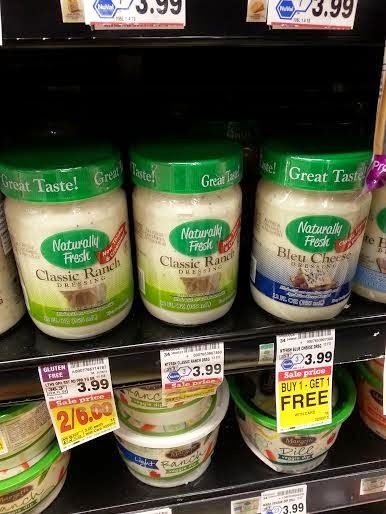 It was so easy to find Naturally Fresh dressings at our local Kroger store, and they were even on a fabulous Buy One, Get One Free sale the day we visited! What's not to love about that!? We got to spend some time trying out Naturally Fresh dressings in our home, and had a great time coming up with some fabulous recipes! Our very favorite recipe we came up with, however, was one the whole family loved! 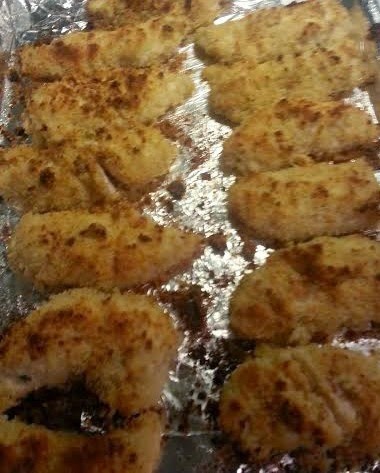 Our Crispy Ranch Chicken Fingers were a huge hit with the whole family, and the kids especially loved them! This is a super easy recipe to prepare, and is great for a quick weeknight dinner, or perfect for a super bowl snack when you serve them up with some buffalo sauce for dipping! We also had tons of leftover chicken, and it was perfect to use the next day as a topping for baked spaghetti, it turned out kind of like a Chicken Parm bake, and it was delicious! As you can see, Naturally Fresh dressings are so versatile, and you can really use them for anything! Here's how to make some of your own! 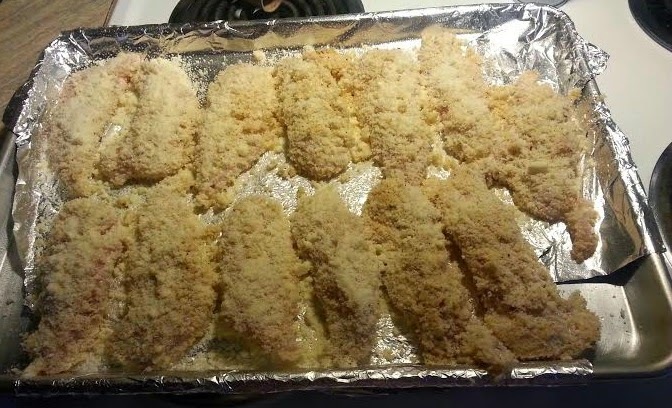 Marinate chicken tenders in ranch dressing overnight. When ready to prepare, combine panko, Parmesan cheese, garlic powder, seasoned salt, black pepper in a small bowl, and pour onto deep plate for dipping. Remove chicken from ranch dressing, and dip into bread crumb mixture. Place chicken on sprayed baking sheet. Add an additional sprinkle of Parmesan cheese if desired, and lightly spray chicken with cooking spray. Bake in a preheated 425 degree oven for 20-25 minutes, or until chicken is no longer pink inside. Serve with your favorite dipping sauces.